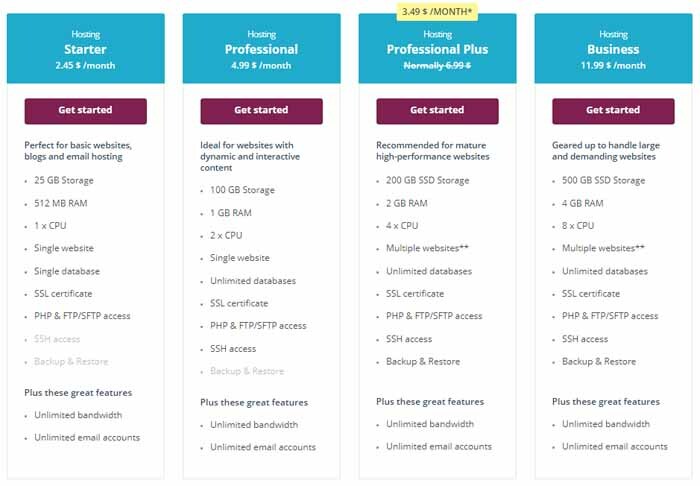 WordPress Plus with 1-click WordPress installation and multiple databases. 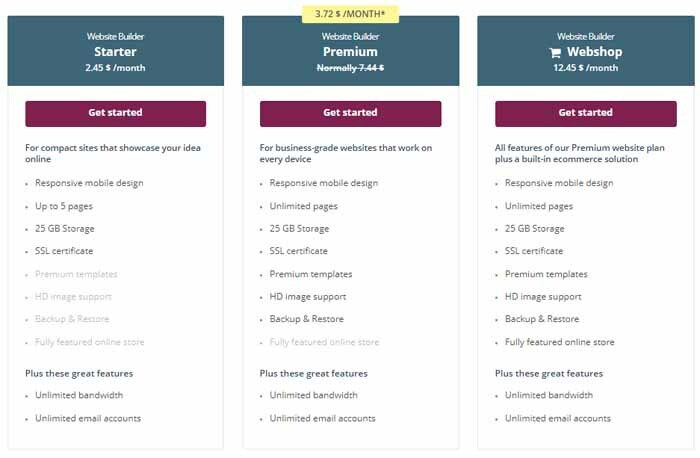 Website Builder Premium with 25 GB storage. Is there a money-back guarantee at One.com? One.com offers a 15-day money-back guarantee on all of its hosting plans. You can cancel within this period to get your money back. However, if you purchased any add-on services, you may be liable to pay for them. Is there a free domain with the hosting or website builder plans? No, there is no free domain included with the hosting plans. You have to pay for it, if you decide to host it at One.com. However, you can find coupon codes for free domain and use that to get your new domain for no additional charge. What is the billing cycle at One.com? 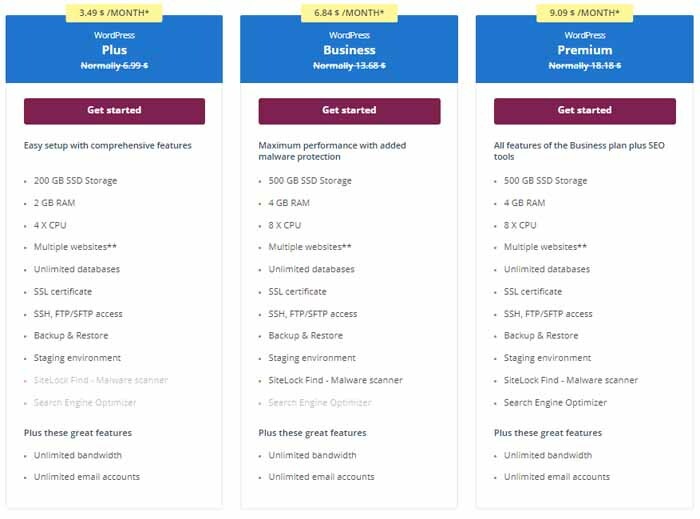 At One.com, hosting plans are billed annually. When you sign up, you will be charged upfront for 12 months. After the 12 months, you will be charged again for another 12 months usually at the regular rates of the plan you chose. One.com is an online services provider like domain, web hosting, email hosting, and website builder for small to medium-sized business. They have over 1.5 million customers from across the world. Their products are simple, easy to use, and reasonably priced. One.com has a presence in over 10 countries. One.com offers single domain hosting at just $2.45 per month. Multiple domains hosting plan costs $3.49 per month. It also includes DNS management and domains are renewed automatically to ensure that your domain is not lost to another business. With multiple domains, you also get backup and SSH. You also get unlimited bandwidth and unlimited email accounts with your plan. The Starter and Professional include only one website whereas the other two include multiple websites. Also, with Professional Plus and Business you get SSH access and Backup. One.com is a fantastic place for new online businesses and individuals to build their website from scratch and that too at remarkably low rates. All websites have a responsive design and you get all standard hosting features like unlimited bandwidth, 25 GB storage, and unlimited email accounts. One.com has Office 365 Plus starting at just $9.60. You can try it for 60 days at no cost and also cancel whenever you like. You can access the most important Office software from virtually anywhere there is an internet connection. All your files are synced and saved in OneDrive. 1. Select the plan you wish from One.com. 2. Search your perfect domain name. 3. Apply your voucher code before going to checkout page.